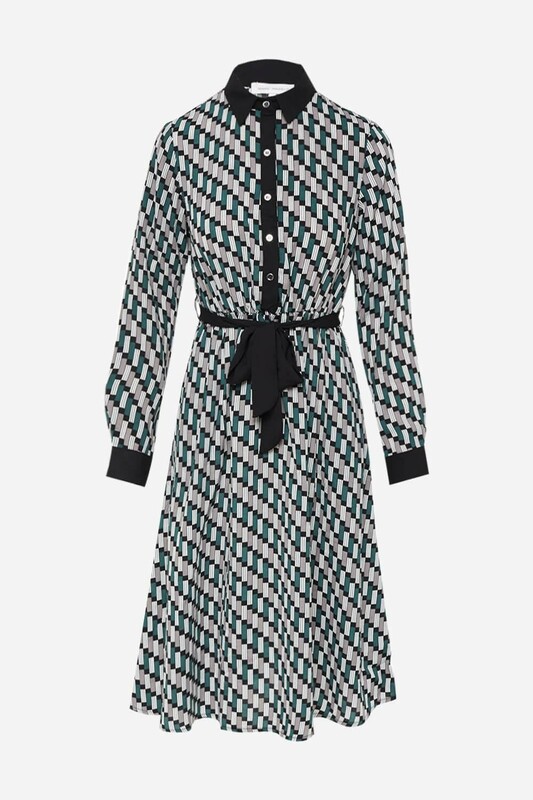 This midi dress in geometric print is perfect for communion/confirmation season. Featuring long sleeves, tie-waist and button placket. Team with classic court heels and a clutch bag for an elegant occasion look.